Introduction. 1. 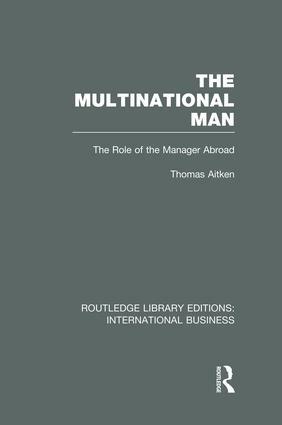 The Multinational man. 2. The Small Multinationals. 3. Strategist and Planner. 4. Administration – Centralize or Decentralize? 5. The Manager and the Money. 6. Who Controls the Market? 7. Labour Pains and Issues. 8. Communications. 9. Citizen of What? 10. The Multinational Company. Select Bibliography. Index.